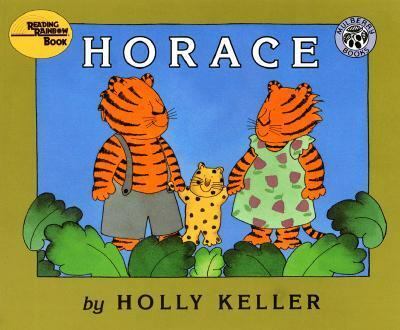 Horace, a leopard, is the adopted son of tiger parents. Every night at bedtime Mama tells him how he came to be their child. Horace always falls asleep before the story ends. As Horace grows older, he begins to wonder whether he belongs with his adoptive family. One night he proves his own ending to the story he has heard so often. Full-color illustrations.Keller, Holly is the author of 'Horace - Holly Keller - Paperback' with ISBN 9780688118440 and ISBN 0688118445.